The countdown begins for our 4th annual trip to Las Vegas to exhibit at the 2015 HD Expo. We always enjoy this show and look forward to reconnecting with many of you. As we have done in the past, we are pleased to be awarding the first ten visitors to our booth a piece of custom hardware. 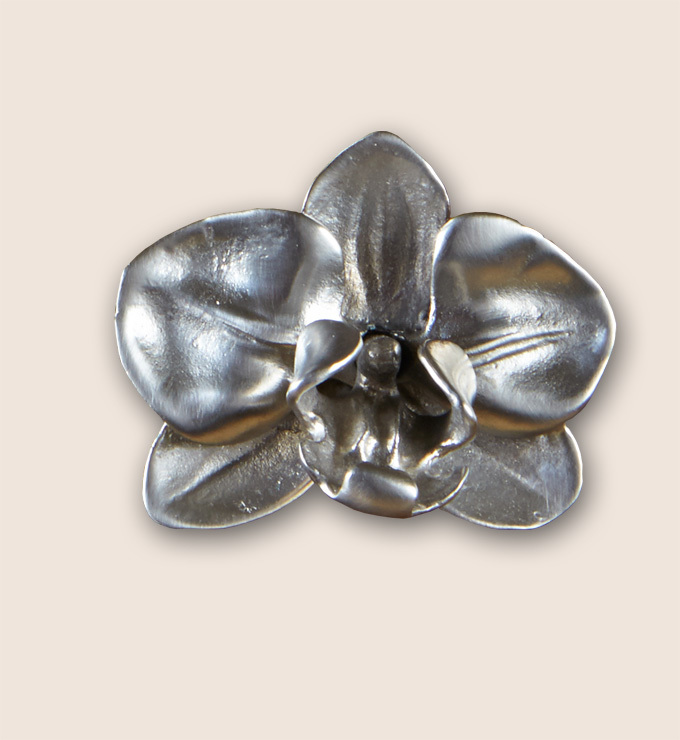 This year the lucky recipients will receive one of our exquisite orchid knobs so be sure and stop by early! As the countdown continues we will be sharing more exciting products, along with our location in the Exhibitor’s Hall. This entry was posted in Uncategorized and tagged custom wall sconces, exhibitors at hd expo, floral wall sconces, HD Expo, hd expo 2015, HD Expo exhibitors, wall sconces. Bookmark the permalink.